There is no denying it. Lullabies help babies fall asleep. Similarly, music helps adults to fall asleep. Music has the direct impact on our parasympathetic nervous system which aids in relaxing your body and preparing it for sleep. Many studies have revealed that the adults, who listen to 45 minutes of soothing music before bed tends to fall asleep faster, sleep longer and have more restful sleep rather than those who don’t listen to music. If you are listening songs that makes you feel relaxed and happy, you can fall asleep faster and get better rest at night. This phenomenon is similar to the one where our parents used to sing us lullabies to make us fall asleep. 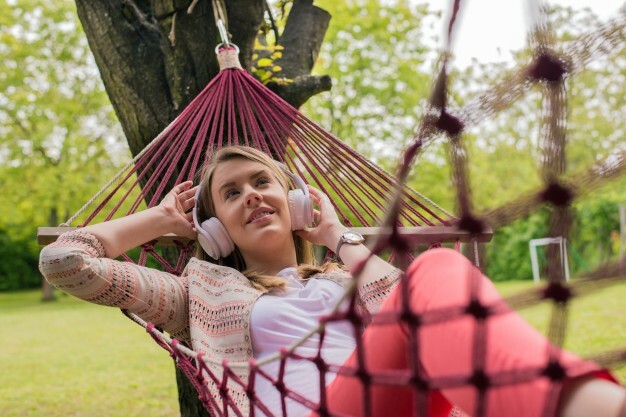 Not only does the soothing music relax you, but listening to it on daily basis right before bed will signal your body that it’s time to fall asleep. After a few days, you will find yourself falling asleep effortlessly. Music aids in relaxing. This is especially true when the song is of 60 to 80 BPMs (Beats Per Minute). This matches the rate of our resting heart and thus is soothing on a biological level. Remember, the type of music that helps people fall asleep differ from one person to another. While some prefer lyrical songs, other rather chooses to listen soothing instrumental or classical music. Some of the best music that triggers sleep hormones is slow jazz, piano, classical or electronic music. It’s best to try different music to figure out what kind of music makes you fall asleep. The key here is to find the slow and peaceful music that will help you relax rather than keeping you up. After a long tiring day, when we lay on our bed there are millions of thoughts running through our minds. All of these thoughts are battling for our attention which keeps our brain active and our body awake. Playing music can divert your mind from all these thoughts and let your brain focus on something good. This ultimately soothes your brain and relaxes your body to make you fall asleep. Try putting music while you lie down in bed, it will help you fall asleep faster. Music triggers serotonin production. Depressed people have a serotonin deficiency which makes it difficult for them to fall asleep. To make yourself feel happy all you need to do is boost your serotonin level naturally. The best part is that the simplest form of happiness is listening your favourite tracks. It’s easier to fall asleep when you’re in a happy mood. So, put on your favourite music and lie down on a good quality mattress. Remember as music can help you fall asleep faster a Certi-PUR Certified Foam mattress with correct firmness and softness will help you sleep in a correct posture and wake up in a good health.